There comes a time in everyone’s life where they meet incredible people who are charged with living a life of true meaning and value. That’s Dr. Mirch. Dr. Mirch is an anesthesiologist who currently lives in Dallas, Texas with his beautiful wife, Roshni, and two young sons, Arav and Krish. He grew up in New Orleans, where much of his family still resides. His family is undoubtedly the most important aspect of his life. Without them, he wouldn’t be the man he is today. Say, “Roshni” and he lights up. (Her name literally means ‘light’). Say, “Arav” or “Krish” and he beams with pride. Every day is an opportunity for Dr. Mirch to give himself to his family, even on a physician’s schedule. As the responsibilities of raising a young family grow, he steadily paces in the fun. 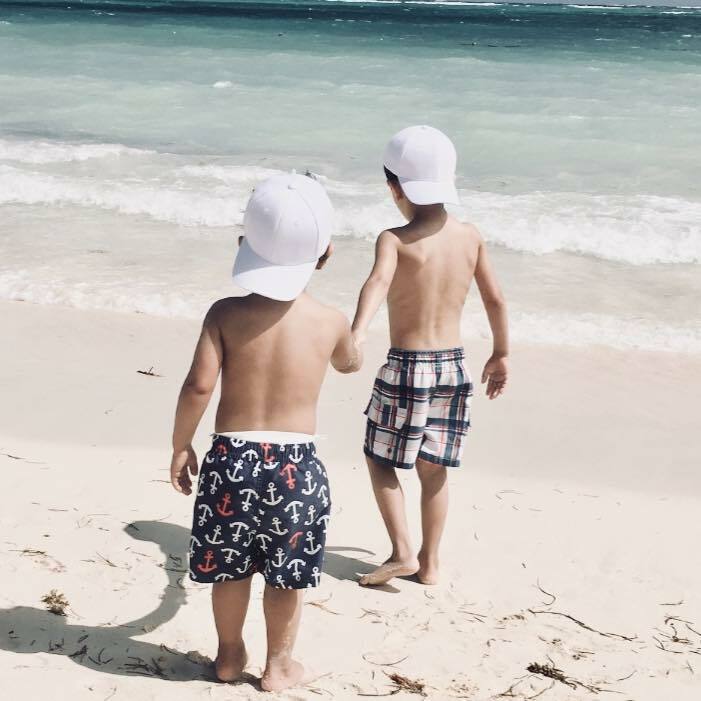 Dr. Mirch devotes his off-time to being immersed with his sons, taking them everywhere they can learn or appreciate life while also enjoying the merits of meeting up with close friends and planned trips with his wife. His family is his linchpin. The activities persuading his attention begins and ends with them. It’s true. Family is his epicenter. From here, all else derives. Apart from home, Dr. Mirch is finding meaning in each interaction he has during the course of his day. His craft doesn’t end there. In addition to working with patients, he enjoys engaging and mentoring hospital staff and is deeply absorbed in helping people around him see the brightest of situations. He serves as the Medical Director of a new surgery center in Rockwall, Texas, that he confidently claims has the potential to be one of the very best surgery centers in the country. He’s both an optimist and realist—a philosopher and a jokester—a pursuer of both spontaneity and discipline—an enjoyer of tradition, but challenger of the status quo. Dr. Mirch is a protagonist and the super hero in someone’s life story. All of this makes him magnetic, energetic, and impactful. He is a true thinker, a logician, and broadly adept at the intricacies of humanity through deep study. Influence him to think better, push him to achieve more, and you’ve got a friend for life. With the help of several mentors, Dr. Mirch is on a constant pursuit of exploration and acquisition of knowledge every day, particularly around being a better man, a better clinician, and, most of all, a better father. He strives to interweave lessons of leadership and life into his work for personal and professional resolve. These are lessons taught by his mentors - his parents, colleagues, teachers, coaches, books and his own life experiences. He doesn’t mind learning lessons from the greats—John Wooden, Abraham Lincoln, Mahatma Gandhi—while also learning just as many important life lessons from the cleaning staff at his hospital. Dr. Mirch’s life purpose is to build opportunities to pass all of these lessons along to other young men, including his own sons. This is where I come in. As a journalist and brand manager, Dr. Mirch brought me into this project to help him spread life’s lessons. Dr. Mirch says it, I spread it. His dream is to build the world’s largest library of simple, powerful, relevant and applicable messages for young males to implement in their lives to become men who are empowered, fulfilled and givers themselves. The Daily Dime with Dr. Mirch is his gift to you. Enjoy it. Apply it. And if you believe it, share it. That’s all. Dr. Mirch completed his residency in anesthesiology at Yale University. He is a young father, accomplished physician, author, speaker and an inspiring leader. His medical focus is to help end the opioid epidemic by helping patient’s with joint pain decrease their need for narcotics. Apart from that tenacious call of duty, you can find him heavily focused on positively influencing men’s health.